With all the buzz surrounding fashion month, I was inspired to have my own little street style photoshoot. I mean, Toronto isn’t exactly the most aesthetically pleasing place right now with all of the snow but I tried to make it fashion haha! It’s in order of being the most wearable since we all know that not all street style looks are ones that people would actually wear day-to-day! My first street style outfit is definitely one of my favourites I’ve ever worn. I decided to go monochromantic with an off white outfit featuring most items from Storets! 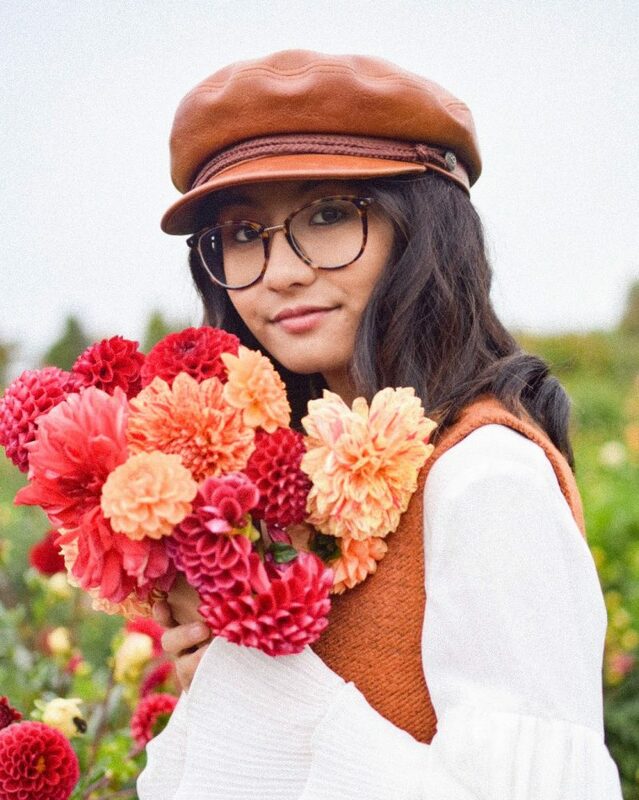 It’s recently been one of my favourite online stores to shop at and I got the sweater, corduroy overalls and the hair pins from there! Considering it’s cold outside, the sheer sleeves on the sweater are obviously not the warmest so I paired it with a gorgeous tweed blazer from SheIn. This jacket is actually really heavy and great quality which is definitely something I’d recommend if you’re looking for a nice blazer. Of course, I went with my white pointed ankle boots which instantly make any outfit chic! Since hairpins are all the rage right now, I threw on these gorgeous ones from Storets that were only $6 USD! A lot of people have been showcasing really expensive ones but really, there are so many affordable ones out there! The next outfit features a really fun burgundy jacket with fur sleeves from SheIn! I was very skeptical about how this would turn out because it’s definitely a bit out of my comfort zone. I’ve worn full out fur coats before and had no issue but this was definitely a more glamorous choice! I decided to pair it with a plain grey turtlneck from Urban Planet and paired it with plaid trousers from Forever21. The colours of the trousers definitely helped tie in the entire outfit together! The last outfit in my steet style lookbook is definitely one that not everyone would wear. I 100% got quite a number of looks while wearing this in the middle of the street. 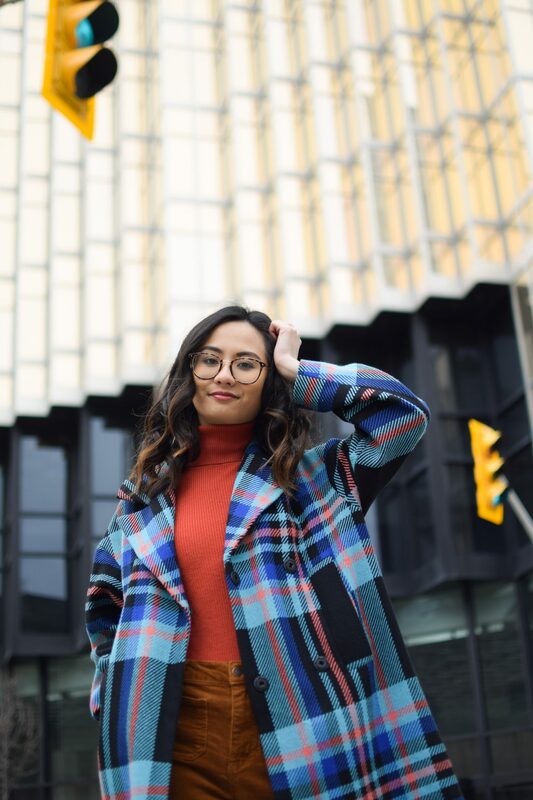 I decided to wear this plaid coat from Topshop which I’ve featured before. 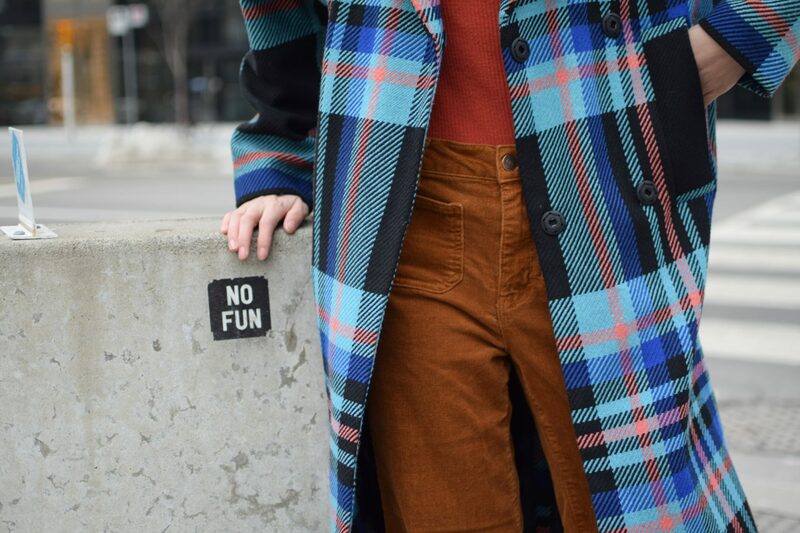 To make it stand out more (as if the outfit really needed it), I paired it with corduroy pants and bright orange boots that I got recently during the Topshop clearance sale! Again, I wore it with one of my favourite turtlenecks which is an orange one from MUJI! Which city is your favourite fashion week? Let me know in the comments below! Disclaimer: Items labelled with an aestrick with gifted to me from SheIn to feature on my blog. All opinions are my own.